The sights and sounds of Saturday are always better with a Halloween twist. We are continuing our celebration of the holiday by showcasing more of the amazing performances from this past weekend. Last year Purdue performed a fantastic Halloween show that fans are still talking about and many wondered how they'd ever top it. Well they may have! Their show this year had the band dressing up in orange shirts which added a little "pumpkin spice" to the field. 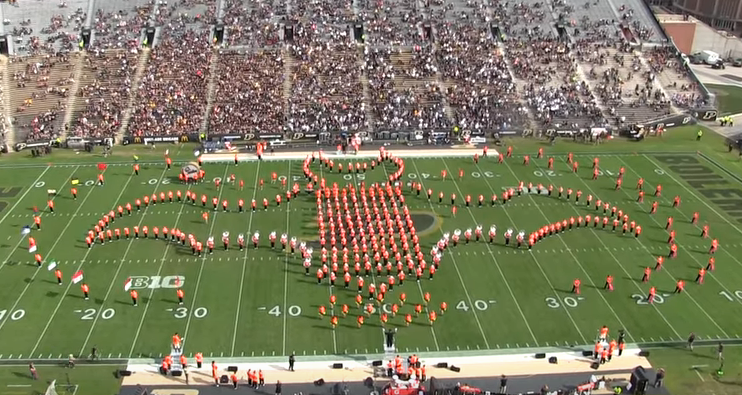 So sit back and relax as the Purdue "All American" Marching Band takes you through some of your favorite Halloween hits.